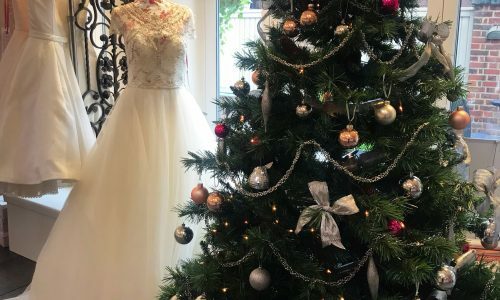 …and now Christmas has come to CB Bridal. 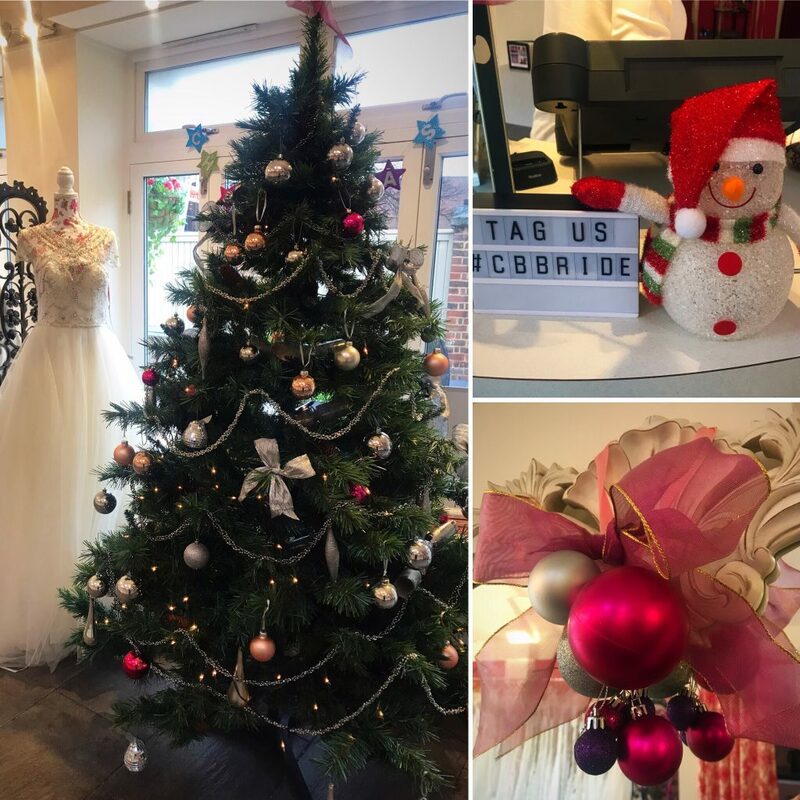 Our wonderful little snowman (everyone needs a helper at this time of year) is back and the Christmas tree has been decorated ready for the festive season. Thank you Maggie and Heather for doing such a great job of the decorations. We all hope you have an amazing December full of celebrations, cheer and maybe just a few glasses of bubbles. Please keep an eye on our website for our Christmas opening hours but it’s business as normal till then so pop in and say hi.